Money Karma is the relationship you have with money based on your entire existence as a soul in consciousness. Negative Money Karma can hold you back from your dreams and vision. When you Heal Your Money Karma, you gain a new perspective on your soul purpose. Lumari shares sacred teachings about Money Karma and your soul purpose to help you easily, gracefully and joyfully and make dynamic, powerful and inspiring changes in your life and in our world. 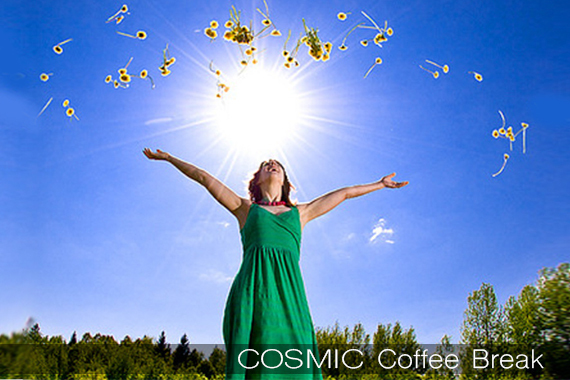 This episode of the Cosmic Coffee Break includes Lumari’s Heal Your Money Karma- Embrace Your Soul Purpose guided meditation, visualization and affirmation to help you to fulfill your own dreams and be a positive influence for others. Imagine the abundant possibilities that await you!